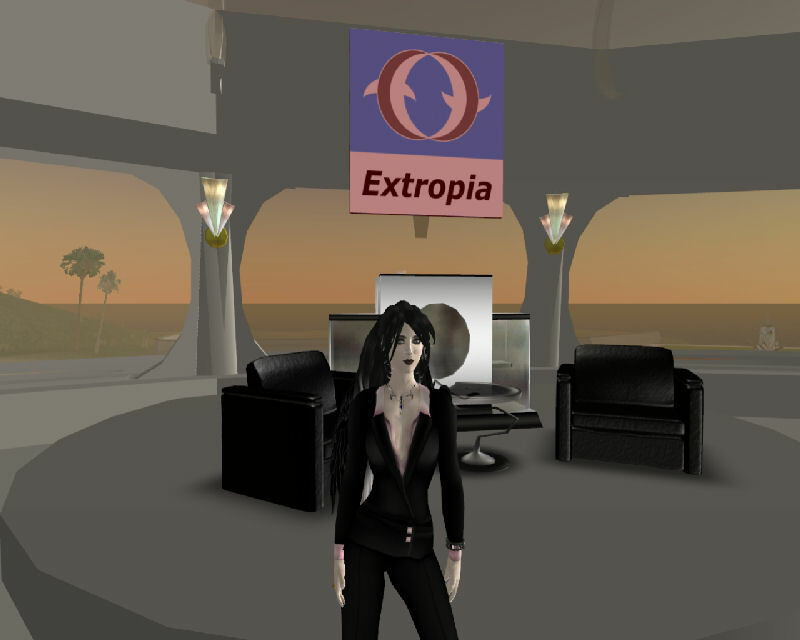 Extropia can be described as one of those pioneering communities that provide some structure to digital, networked life and proclaims itself boldly as ‘independent technocratic city-state’ – where “immigrants to Extropia are required to forge ties with the community before being eligible to purchase land and become Extropian citizens”. It is, after all, all ABOUT relationships. Extropians understand this better than most communities I have come across in Second Life thus far! The entire nation is run by a Board, under the wise leadership of the (artificial) chair person, Galatea Gynoid, according to the group – “best known for her cool head” – which I am sure is unrelated to her manufactured neural network, and has more to do extensive relationship experience in social networks and online interactions! Judging from the last Extropia meetin, she will need a cool head, composure and wisdom. Some would say she is the brains behind Extropia, but personally, I think it is duet of brilliance between Galatea and Sophrosyne – together with the dedicated support of the rest of the Board (Argent Bury, Vidal Tripsa and iAlja Writer)! Extropia is in essence a micro-government and it will be interesting to see how this project informs (and even leads!) the processes of virtual community building. We would like to thank Extropians, and specifically Sophrosyne and Galatea, for being committed to ‘foreign relations’ and our initiative to create a better world – both real and virtual. 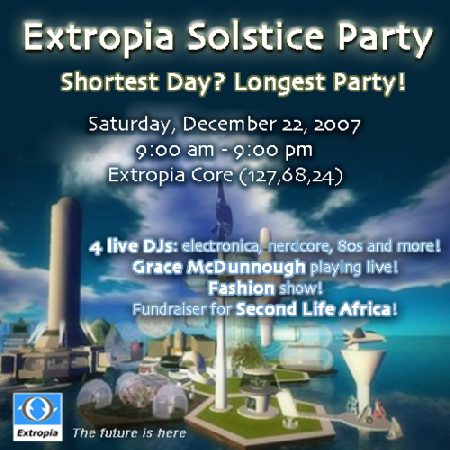 Read more about the Extropia fundraiser and note that Sophrosyne has personally matched all donations to the cause. It is greatly appreciated – the way individuals realize the potential of Virtual Africa and get behind the project. 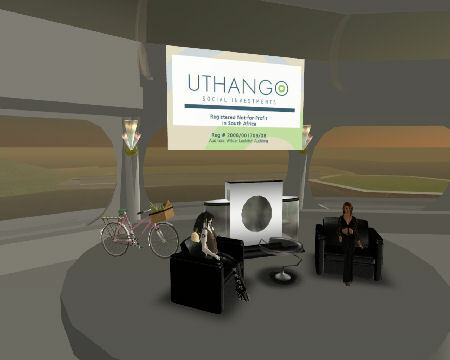 The informal relationship between Extropia and Second life Africa started with the very first interview of Alanagh Recreant (SL) by Sophrosyne at a Saturday Salon event. It was an exhilarating experience to share our dreams and ideas with other innovative and supportive people, that are a bit further along in creating the actual physical digital presence for their community. 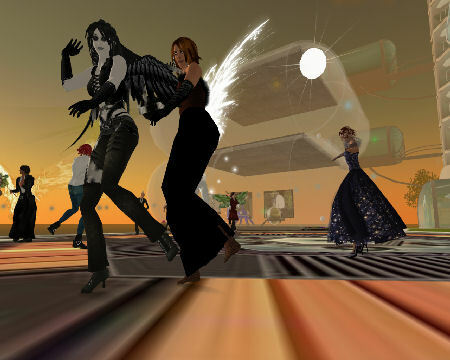 And like most things in Second Life, it was simply fun to have a virtual party with small little pixeled avatars flying around a in unison to the beat of earphoned music. Like true professional event organisers there is now also a photo album to place the event and its participants on record, as we are all early adopters and innovators on these platforms.